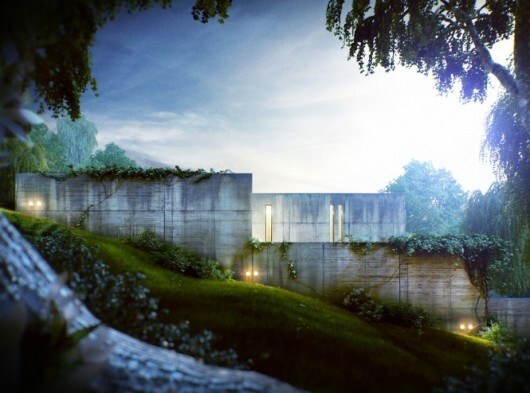 Overgrown House in Hungary | Shelby White - The blog of artist, visual designer and entrepreneur Shelby White. 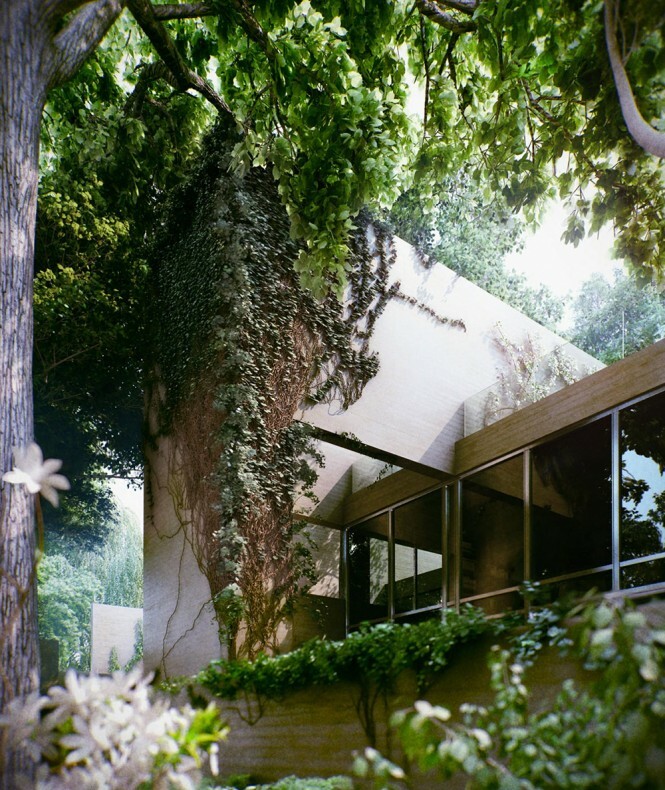 Houses overgrown in plants or vines have always been mysteriously cool. This beautiful home is located on the sloping hills of Hungary and was designed by architect Satoshi Okada. The home was built for a photographer by the name of Tomasz Gudzowatyon. 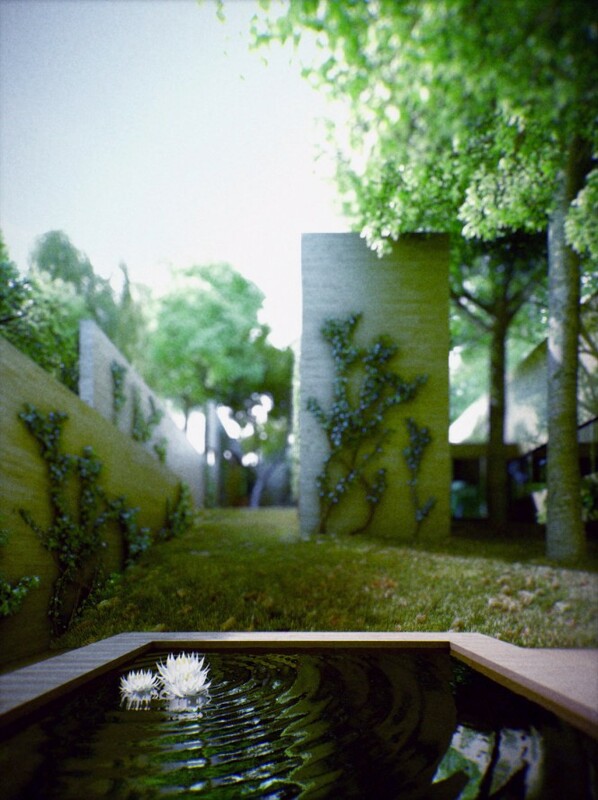 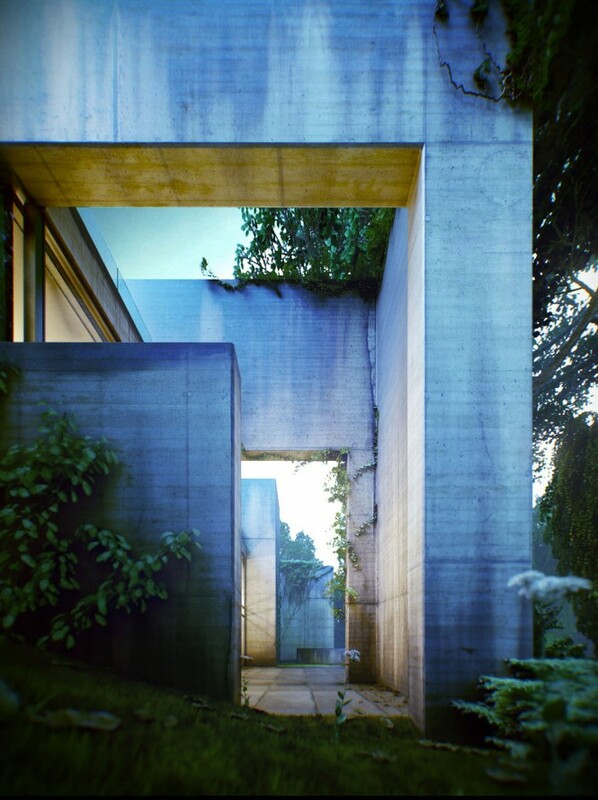 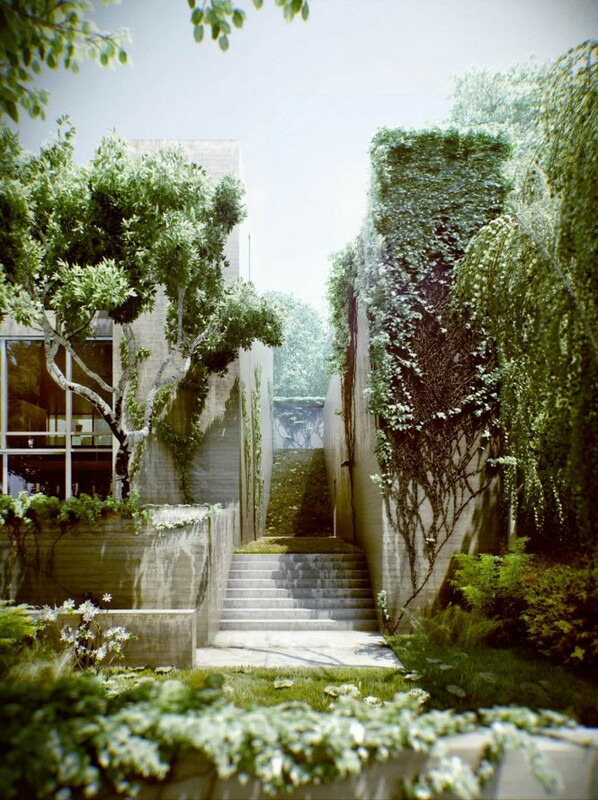 The amazing images shown here of the houses are actually 3D renders by CG artist Viktor Fretyan. 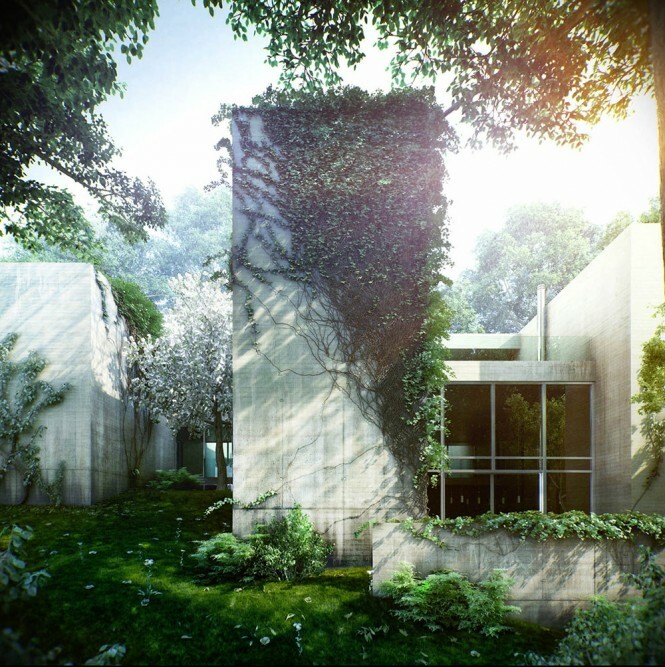 The house is divided into four slender cores standing alongside beech trees. Primarily the outside of the house is composed from slabs of cement. 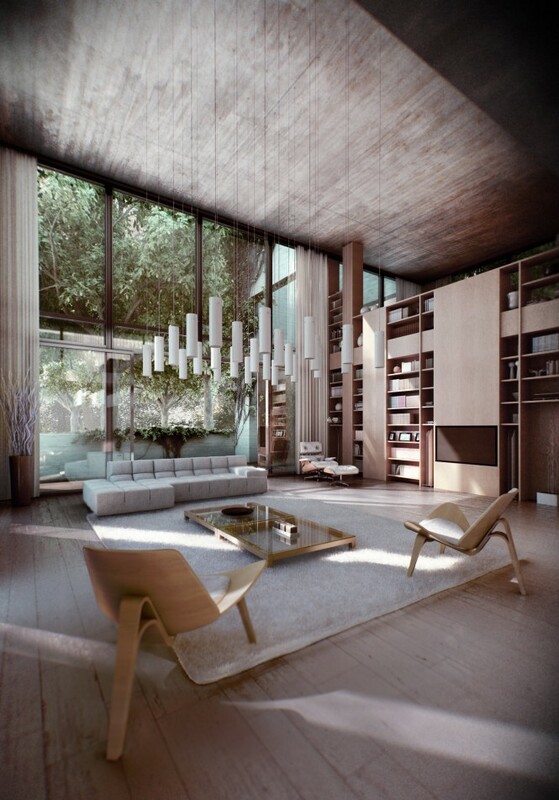 The living areas are connected to the surrounding environment by large glass walls. 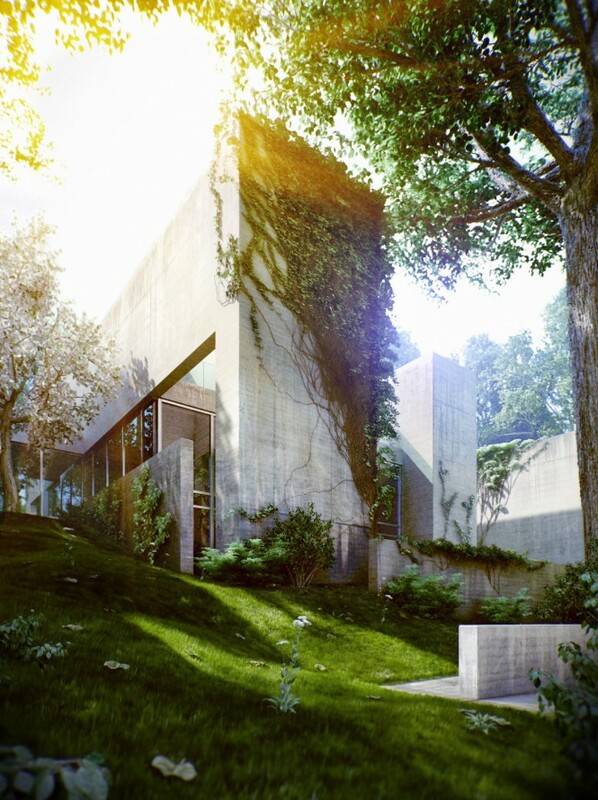 Epic house! 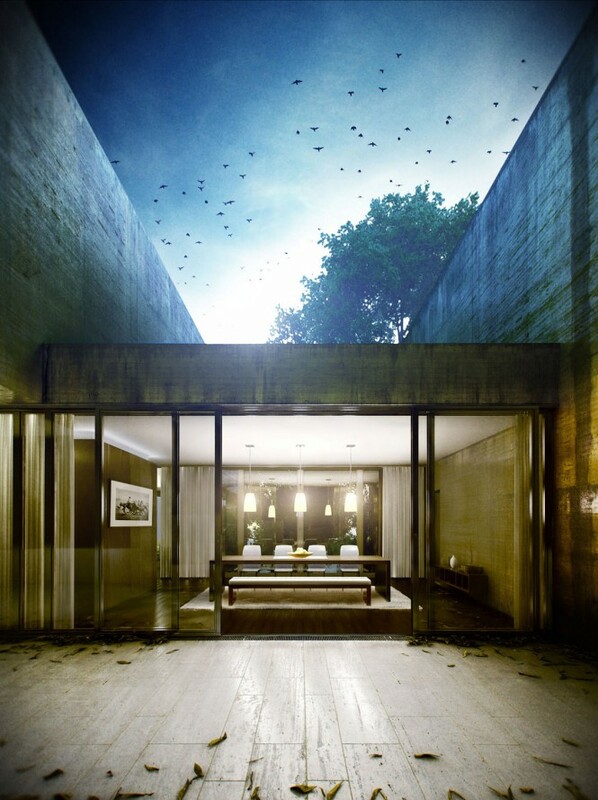 Perfect balance of bliss with the modern design combined with the beauty of nature.